It’s good that we have chosen a walk around Abney Park cemetery on an Autumn afternoon to have a chat with Lucy Dacus. “Two of my favourite things are forests and graveyards! They’re good because people are quiet. Good for reading and thinking,” she says as we wander around the leaf-covered park in north-east London. 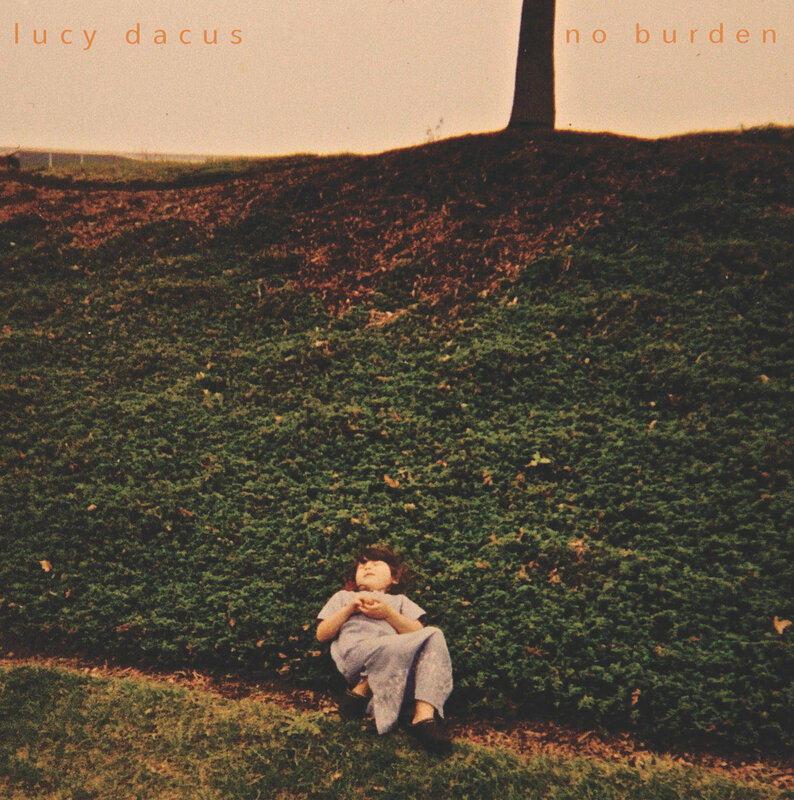 Despite being a rising star in the US East Coast’s indie rock scene, Dacus likes to keep things simple – her favourite activity, she says, is to go for walks in her neighbourhood in Richmond, Virginia. After a long process, which included 20 labels fighting for her, her debut album No Burden came out this September and has been doing the rounds in the States and collecting glowing reviews. Dacus, 21, has been touring her country all year, pretty much non-stop. Hymns like 'Map on a Wall', written years ago, seem perfectly appropriate for her current life on the road: “But I am alive and I made up my mind / to live fearlessly, running wild beneath the trees / above a ground that's solid at the core.” We walk around and sit down with her to talk songwriting, amulets and living more freely in her flash visit to the UK. What in your life draws you to writing songs? And what are the songs in No Burden about? I don’t have a very good answer because I don’t have a lot of control over the songwriting. I just go on walks and, sometimes, I start writing a song. I just have to listen to my thoughts and acknowledge them, and write them down, and let them sit, and let the song become what it is ... and then I realise oh, it’s finished! It doesn’t feel super intentional. And then after it’s done I can see what it’s about. No Burden was recorded in January 2015, and all the songs in the album were written in the 2 years before that, so some are really old! They’re not really related to each other. Talk to me about your single, the self-deprecating and pretty amusing statement song 'I Don’t Wanna Be Funny Anymore'. What experience was it based on? That’s a song that took me like three minutes to write, because I’d been thinking about how to express those thoughts for so long. It’s about my experience primarily in middle school, when I started to try and become myself, apart from my parents. It’s about when you start forming your identity and people are imposing things on you, trying to teach you what your role is in society. Why did you title the album No Burden? I just wish people would understand that they don’t burden other people with their ideas, and if you are a burden on someone else that’s the other person’s fault. There’s nothing wrong with your thoughts or your influences or your effects on other people. I think people hold themselves back too much from each other. And what’s the mysterious picture on the cover? It’s a picture of me when I was five that one of my parents took of me. Despite what you see, it’s not a huge open field, it’s actually a slope down to a parking lot. But I just went and laid down out of habit (I was always laying down under trees when I was a kid, pretty fanciful). That was a time when I didn’t have the concept of being a burden. So I always try to revert back to that mindset. When I was in middle school I went to a church camp over the winter, and we had our girls’ cabin and our cabin leader was this college girl who had an acoustic guitar and I thought she was so cool. I was like: I’m going to go learn guitar and be like her. So I just learned a bunch of covers, and friends and I would sing covers together around campfires – classic suburban or country things to do! You’ve been touring without much of a break since March. How do you keep yourself sane on the road? I don’t know if I do keep myself sane, but things that are consistent are that I read a lot and I try to keep in touch with people back in Richmond, like my family and friends. But it’s hard, because there’s a difference between intentional communication and incidental communication. Intentionally, I can call them and talk, and say goodbye and it’s done, but the incidental stuff is what I miss. Living with my friends and them coming home and complaining and eating together, and the “what are you up to tonight?”. I miss the unplanned parts of friendship. What’s Richmond like as a musical city? It sounds like there’s a huge music scene but like it’s very local, and artists don’t get out of there as much as they do in other cities. Richmond is in a really good position, because it’s two hours from the beach, two hours from the mountains, two hours from Washington DC, six hours from New York. It’s on the East Coast and there are many cities nearby, so I would think more bands would tour from Richmond, but for some reason it’s not as nationally or internationally active. But in Richmond, local bands are thriving. There are tons of new groups and new music that’s really exciting, and I think it’s because people encourage each other locally so much. It’s a curse and a blessing that people don’t get out, because people do ruminate and really grow from each other there. What’s your life like when you’re back home? I live in a neighbourhood that is a couple blocks from the river and a couple blocks from the cemetery … I just walk a lot, by myself or with other people. What’s cool about this job is that when I’m not touring I have nothing to do, really (well, other than practice, record and write new songs!). I live with five of my best girlfriends who are all creative types too – sculptor, illustrator, filmmaker… So they give me a lot of life and other content, it’s not just music. That’s why reading keeps me sane too, because it’s an escape into a different creative artform that I’m not involved with. Speaking of books, what are you reading right now? Two days ago i finished Anna Karenina, which was great, it was so good – I’ll probably read more Tolstoy soon. I’m about to finish the third Elena Ferrante book. Oh my gosh, they’re so good. I started it just a couple days ago and it’s already over. I’m so upset that there’s only four of them, I wish they’d just go on and on and on! I just started Don Quixote too – and it’s so long I’m kind of intimidated by it. I’ve been trying to tackle epics this year. I always operate under the assumption that this will all fall apart soon, any day at all, so I try to keep low expectations. But even if I couldn’t do this job, I’d be fine going back to a 9-to-5 desk job. I have my sights on starting a publishing company and maybe a record label in the future, just try to figure out ways to lift up other musicians and writers and artists that I care about. This year has been a lot about my album, and I don’t think I would be satisfied if that was the rest of my life, just my own stuff. Is there an object you always bring with you on tour? The lipstick that I wear at every show (I never wear it when I’m not my “work self”). And since August I always wear this ring which was a gift from my birth grandmother. I’m adopted and I met her in august and she gave me this ring she’s been wearing for 44 years. My birth father and his family came to a show in LA in August, and it was overwhelming but they’re all really sweet people. No Burden is out now.